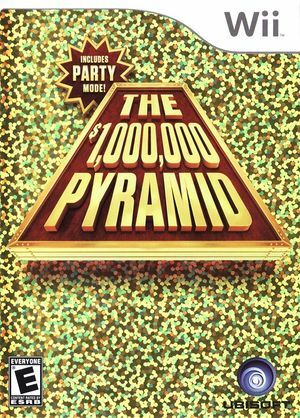 The $1,000,000 Pyramid is party game for the Wii console developed by Luda and published by Ubisoft. Based on the Pyramid series of game shows, the game features two contestants, each paired with a celebrity, attempting to guess a series of words of phrases based on descriptions given to them by their teammates. The title refers to the show's iconic pyramid-shaped gameboard, featuring six categories arranged in a triangular fashion. This game checks what country you are set to in order to determine what language strap screen to load. Because certain versions of the game don't contain certain versions of the strap screen. By default, Dolphin sets the country to Switzerland, so the U.S. version of the game will crash. Refer issue 10066. The graph below charts the compatibility with The $1,000,000 Pyramid since Dolphin's 2.0 release, listing revisions only where a compatibility change occurred. This page was last edited on 4 May 2018, at 19:26.